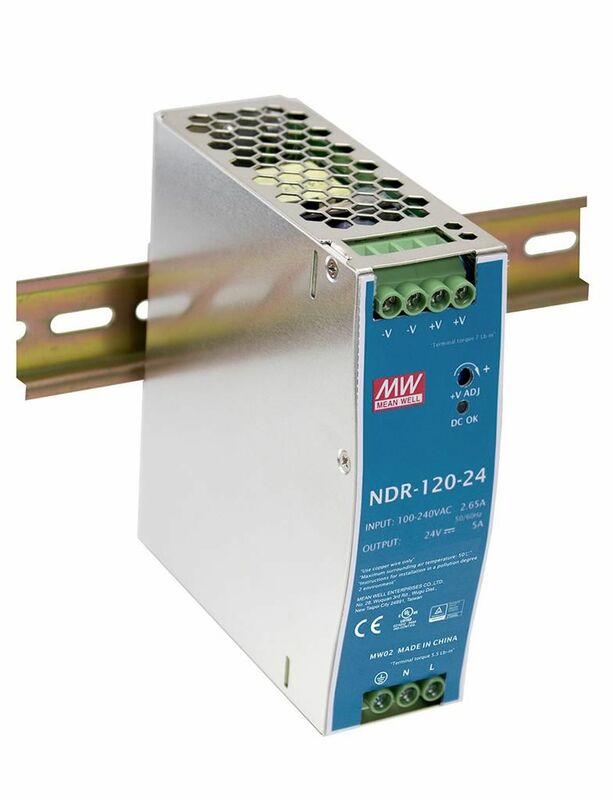 The NDR-120 is one economical and slim 120W DIN RAIL Powersupply series. 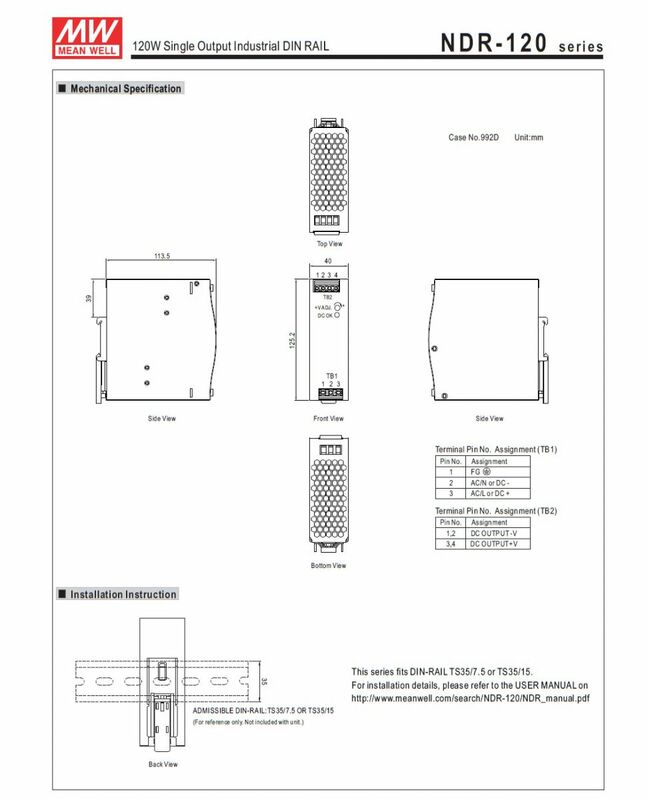 It can be mounted on TS-35/7.5 or TS-35/15 DIN Rails. The body is only 40mm wide, which means space can be saved inside controller cabinets. 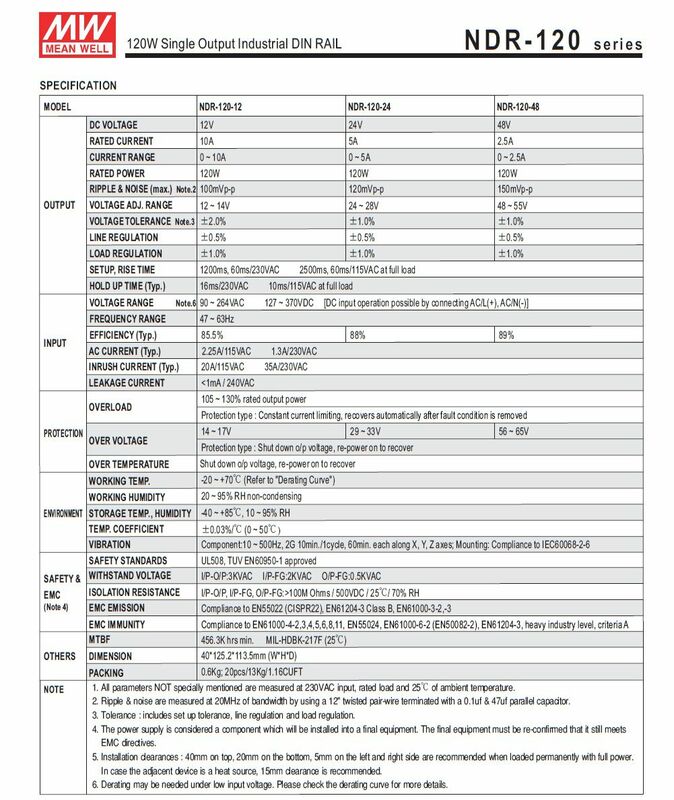 The entire series adopts the full range single phase AC input from 90 VAC to 264VAC and conforms to ENC61000-3-2, the norm the European Union regulates for harmonic current. 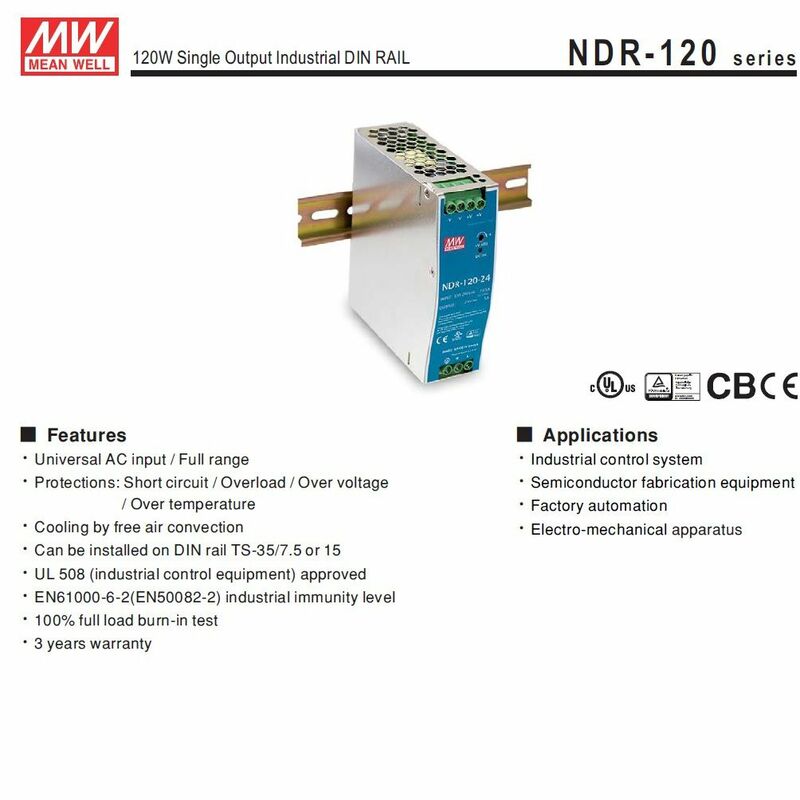 NDR-120 is designed with a metal housing that enhances the heat/power dissipation. With working efficiency up to 89%, the entire series can operate between -20 to 70 degrees celsius under free air convection. It is equipped with constant current mode for over-load protection, fitting various inductive or capactive applications. 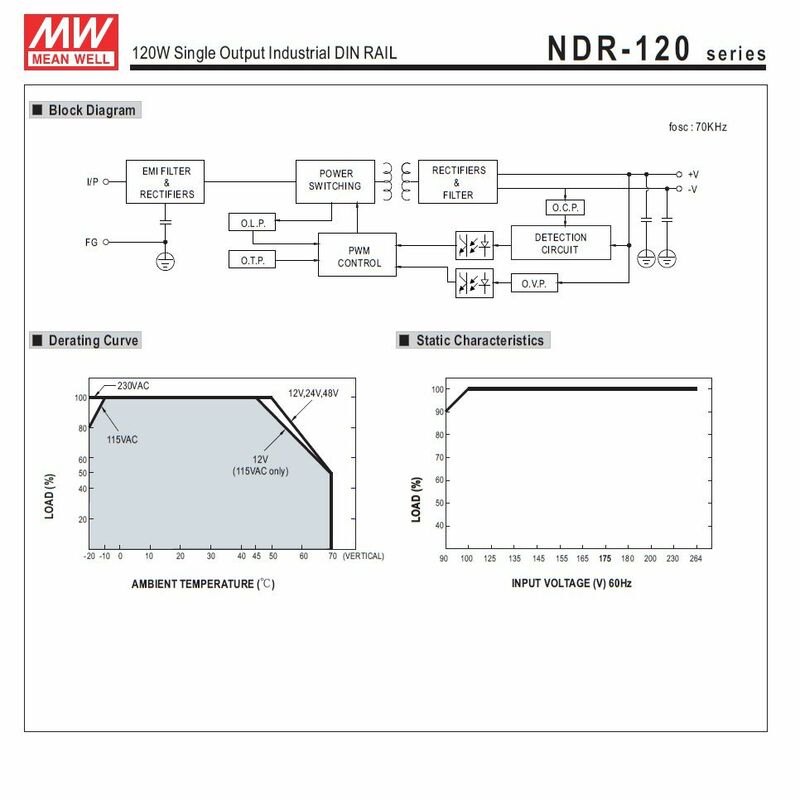 The complete protection functions and relevant certificates for industrial control (UL508, TUV EN60950-1, and etc) make NDR-120 a very competitive powersupply solution for industrial applications.